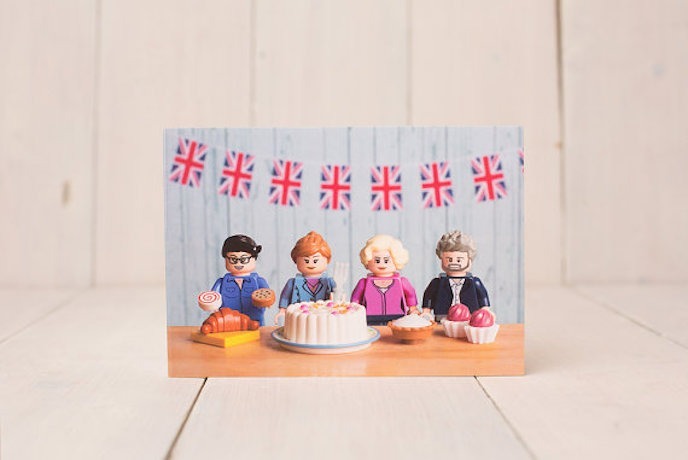 How adorable are these Greeting Cards by MiniFig Moments? Professional photographer Emma Scott runs Minifig Moments, and yes your pies (sorry eyes) do not deceive choux (you, again, apologies). They really are little LEGO people on her cards. 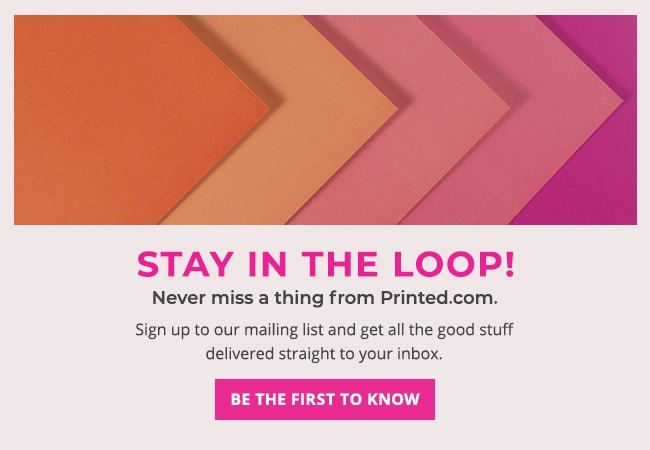 She launched the business back 2014 after coming up with the unique idea for her Dad’s birthday. Emma now has a huge array of different characters and creative scenes, including The Great British Bake Off presenters and judges! You can even get yourself made into a character! Wow! Inspired by GBBO? 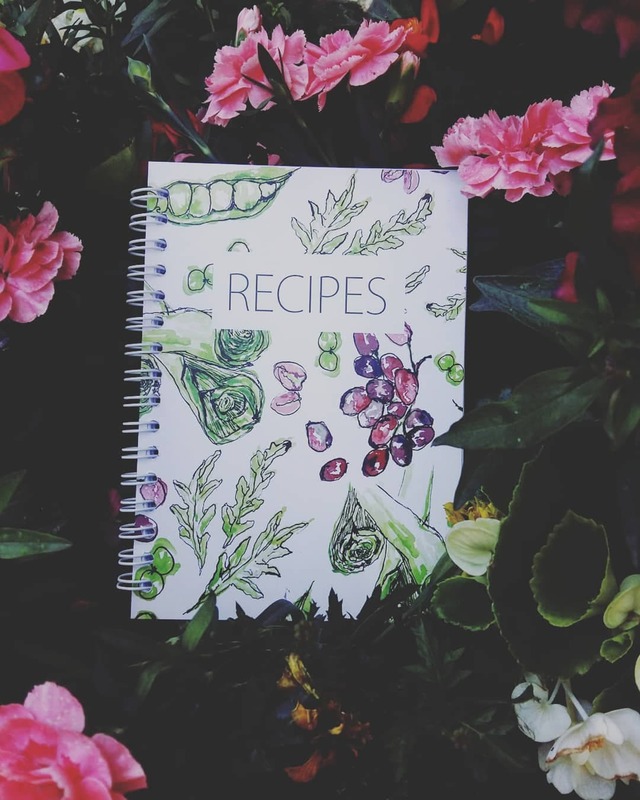 Charlottes Gorgeous recipe books are the ideal place to jot down your showstoppers. Charlotte, the brains behindCW Illustrations is a recent grad from UWTSD (University of Wales Trinity Saint David) Swansea and she’s new to the scene having only recently set up my own small business Focusing on hand drawn prints, stationery and homewares, she’s based in the lovely Brecon Beacons, South Wales, which is where she gets loads of inspiration to create her gorgeous prints, stationery and gifts. 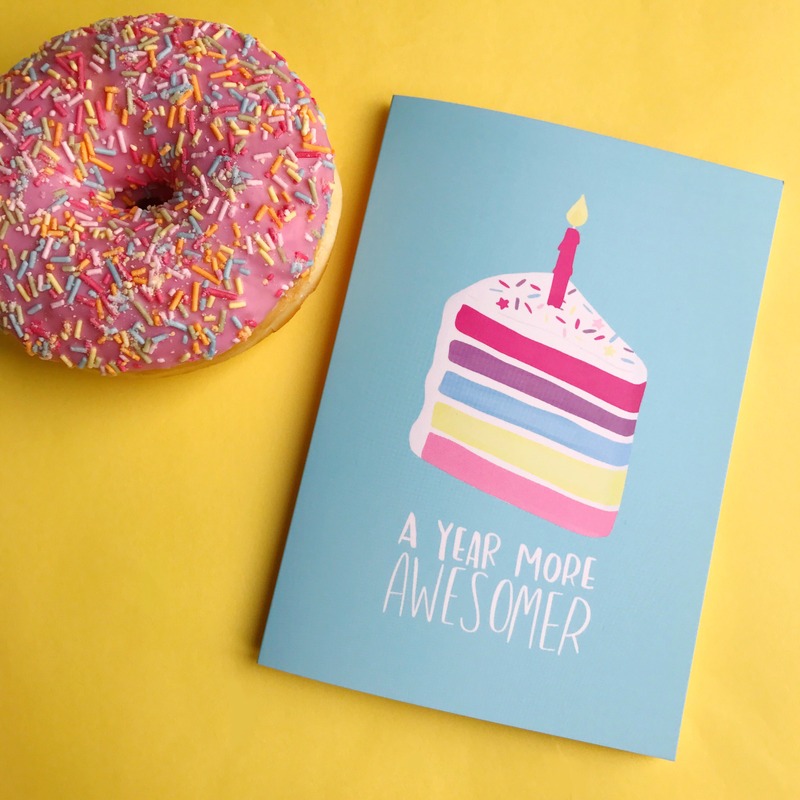 Another year more awesomer and what better way to celebrate than with cake? Or doughnuts? Or anything delicious, if we’re honest! Nutmeg and Arlo create fun, bold, bright designs, like these rainbow cake cards – ideal for the foodie or baker in your life. 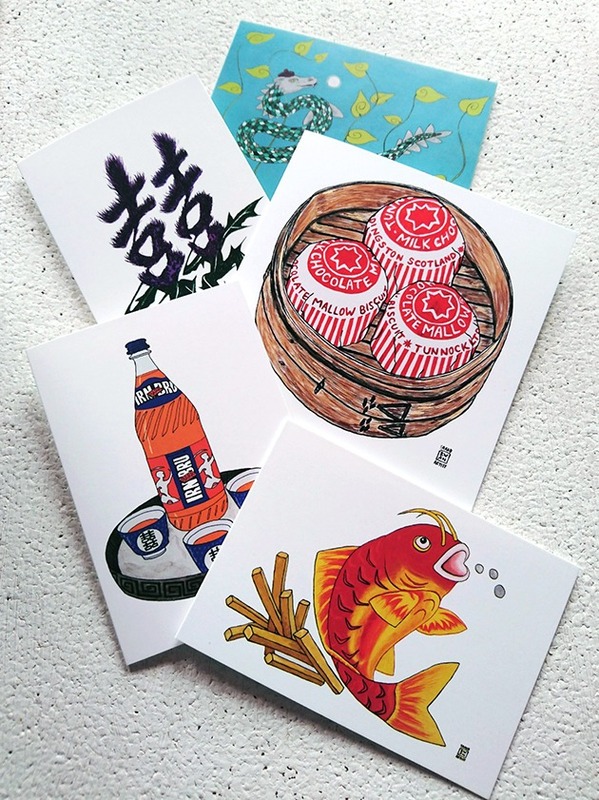 Edinburgh based freelance Illustrator, Sarah Kwan, graduated with BA Hons Fine Art Drawing & Painting from Duncan of Jordanstone College of Art & Design in 2008. She’s exhibited in galleries such as The Royal Scottish Academy and The Scottish National Portrait Gallery. Some of her favourite subjects are; portraiture, animals, flowers and plants. She also enjoys concept design, decorative patterns and pops of bright colour. One of the great things about GBBO is that it encourages each and every baker to put their own unique spin on traditional recipes. Whether that’s a new flavour combo or presentation skills, it’s not usual to see the bakers bringing their personality into each and every bake. Just like Sarah Kwan, who brings an oriental influence into her designs, fusing them with a modern twist. 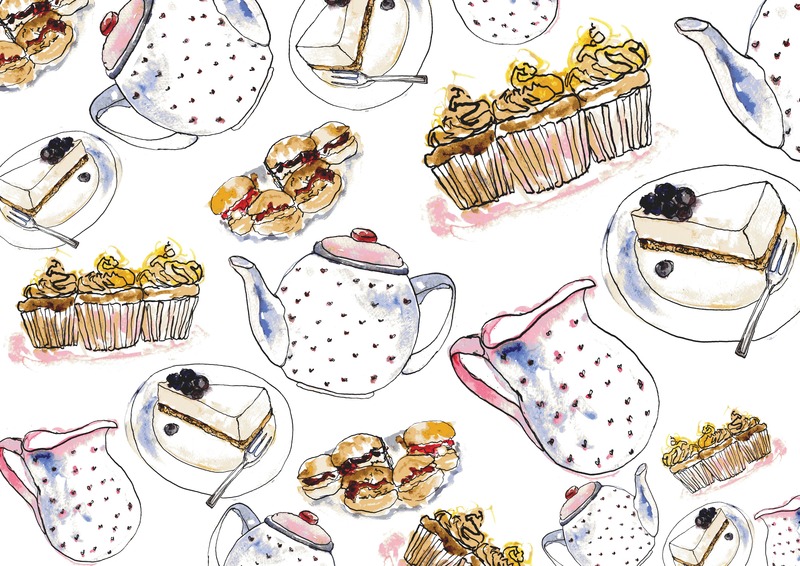 Take a closer look at her teacake card – it’s dim sum! And her koi carp? That’s fish and chips! Sake is replaced with Irn Bru! We just love this creative take and we can’t wait to see more from Sarah! 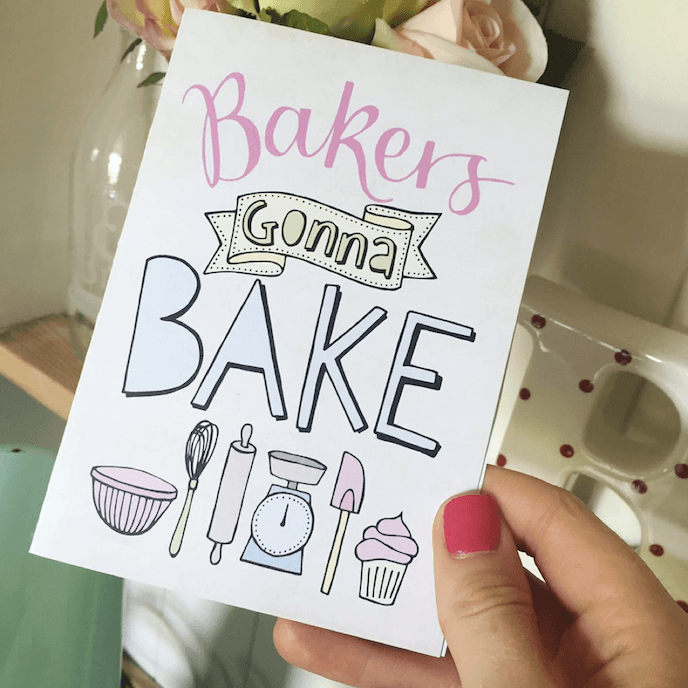 It’s not all sweet stuff over on the great British Bake Off, and these Cards by Savannah Storm highlight cooking in it’s finest! 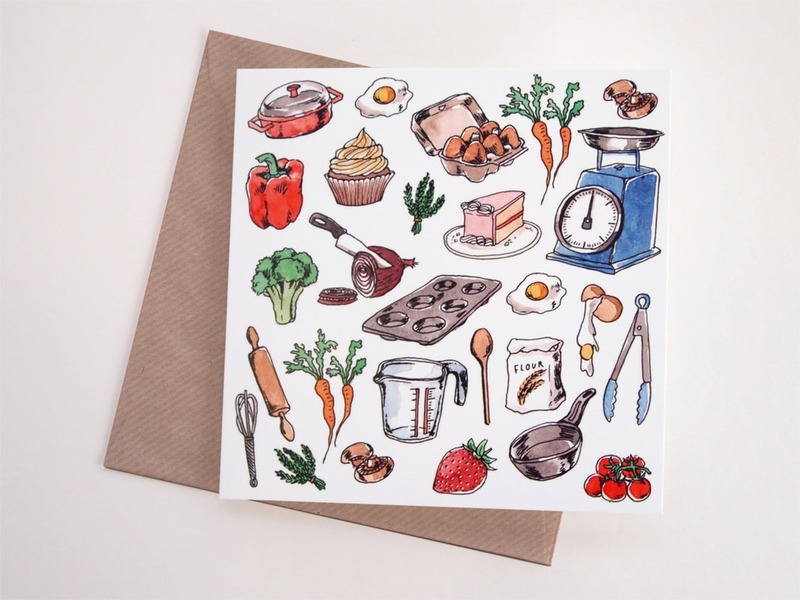 From eggs to herbs, whisks to frying pans, if you know someone who loves cooking, this is the Greeting Card for them! 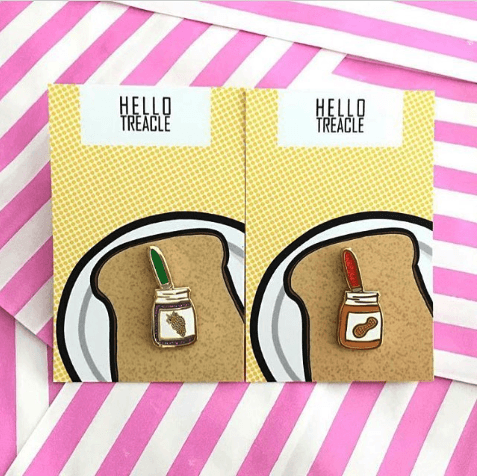 One of Paul’s favourite flavours, Hello Treacle celebrates peanut butter (and it’s favourite accompaniment – jam) with these adorable pin badges, attached to bold and bright toast pin backs. Even if baking is’t your thing, these adorable pins are ideal for sprucing up a jacket, backpack or even your favourite shirt!